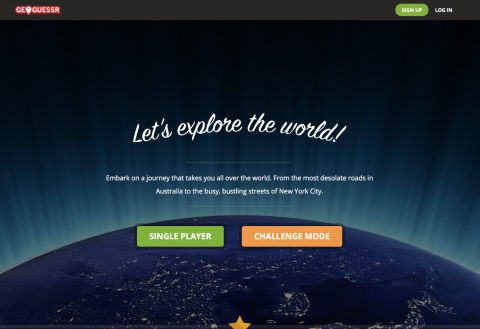 GeoGuessr: Play with a friend or by yourself. You’re plopped somewhere in the world in Google Maps and you have a set amount of time to pinpoint where you are. I was JUST thinking of GeoGuessr out of the blue this morning (but couldn’t remember the name), and then I opened up Feedly to see this post at the top! What a happy coincidence – thanks!